We’ve loved Freshers week, meeting so many new (and returning) students around campus. As promised last week, we’ve been keeping a note of all your questions and have answered some which we’ve been asked most this week (below, in no particular order). 1. 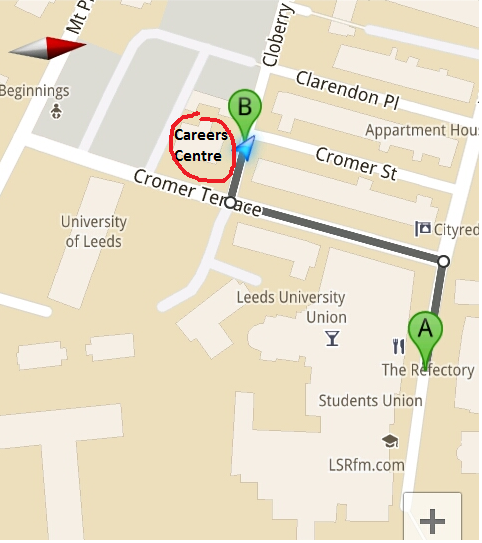 Where is the Careers Centre? 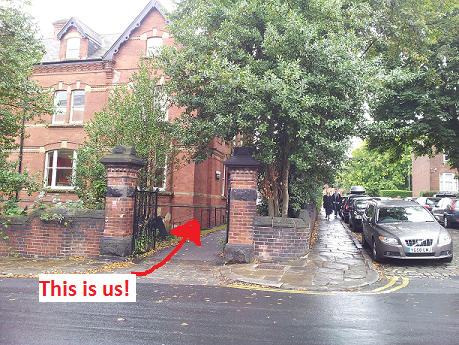 5-7 Cromer Terrace, just 2 minutes walk from the Students’ Union. 2. Where can I find a part-time job? Leeds University Union runs the fantastic Joblink which advertises heaps of part-time job opportunities. If you need help with your application for part-time work, pop in and see us at the Careers Centre. 3. Do you advertise job vacancies? 4. Do you only help with jobs for after I’ve graduated? Nope, we also advertise placement and internship opportunities and can help you find other work experience opportunities, as well as all the other services listed in question 10 below. 5. Do you help students find internships and placements? Yes! Whilst we can’t find placements for individual students, we do advertise hundreds on our vacancy system and can advise you on other ways to identify opportunities, as well as support you at all stages of the application process. 6. Do you help international students? Yes, we support all students at the University of Leeds, whether you are an international student, undergraduate, postgraduate, or researcher, and whether your are studying full-or part-time, as well as offering support once you’ve graduated. 7. How do I find out about options for when I’ve finished university? Talk to us! There are loads of options open to you and we can talk these through to help you identify what might be best for you. 8. When do I need to start applying for jobs? That depends: Graduate and internship schemes with major graduate recruiters typically recruit up to a year in advance (i.e. are accepting applications now for opportunities starting in Summer/ Autumn 2013). Other jobs will recruit all year around, on an as-and-when needed basis. 9. Do I need to know what I want to do before I come to the Careers Centre? Nope! We can help you consider your options regardless of what stage you’re at: Whether you have no idea at all, some ideas, or have a definite plan in mind, we can help! Come and see us on drop-in to find out how. Providing support with your career choice and future plans, through individual career guidance or through one of our career modules. Helping you meet potential employers through our comprehensive events programme. Supporting you at all stages of the application process, whether with applications forms, CVs, interviews, assessment centres or anything else they might throw at you! Offering comprehensive business start-up support to any budding entrepreneurs.